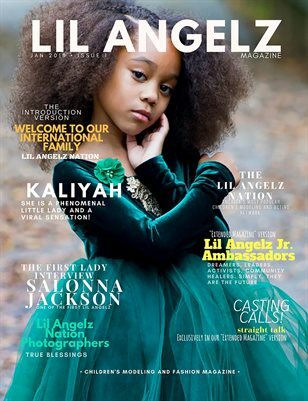 The LIL ANGELZ MAGAZINE is a Modeling industry magazine for children ages 3 months old to 15 years old. The magazine will feature future issues with special invited guest, industry insiders, celebrities, Models and Actors. For children in the Entertainment Industry. Will also feature insider industry news, tips, and helpful information to get your child started in Entertainment and also how to join the LIL ANGELZ NATION Worldwide Talent Organization.